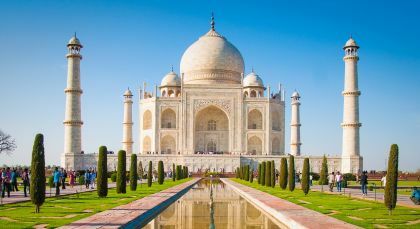 The is the ultimate white glove tour of India’s regal cities. 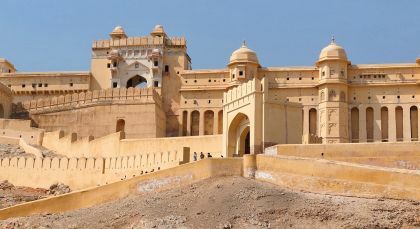 With each accommodation a highlight in itself, the finest vehicles, unique private tours and superior VIP service delivered our experts, discover Northern India in complete and utter luxury! 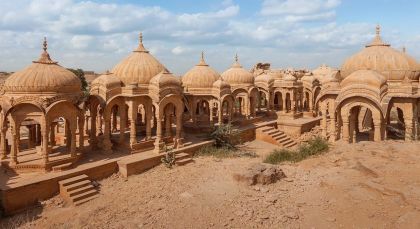 Travel back in time to the glorious era of Maharajahs! Embark on your North India tour in regal style and soak in the splendor of luxurious royal palaces at heritage cities of India. 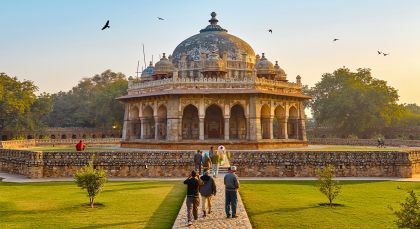 From the Golden Triangle encompassing Delhi, Agra and Jaipur, to the city of lakes in Udaipur, the blue city of Jodhpur and Hyderabad, the city of Nawabs, this luxury tour of India offers incredible cultural delights! Savor traditional Indian cuisine, authentic flavours and elegant Mughal dynasty settings, amid views of the hotel, gardens and water bodies. Glimpse traditional grandeur with a Mughal-theme evening and Royal dinner…hand-embroidered linen, silver and crystal ware, candles, flowers and personal butlers. Sultry melodies of Indian classical music, low-seating chowkis (seats), blazing mashals (fire-torches)and a grand 3-course Royal Indian Thali showcase the Mughal heritage and kitchens of yore. 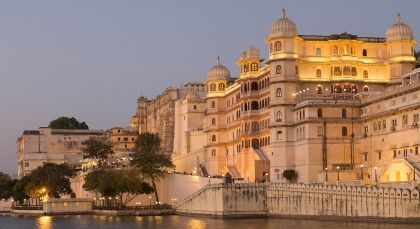 Experience royal Rajasthan on a luxurious riverboat ride aboard the historic Gangaur. The nearly hour-long trip is arranged exclusively for you by the Taj Lake Palace heritage property. Luxuriate in the regal experience of riding on this 150-year-old vessel owned by the royal Maharanas of Udaipur. You could also enjoy a fine dining experience aboard the Gangaur, complete with a sumptuous dinner and refreshing cocktails, amid panoramic views of a spectacular medieval city. The heritage boat can accommodate a select group of guests for cocktails and dinner. (Half Day; Duration: 1 hr, Time of Day: Evening; Private Activity, Fitness Level: Easy). As first time travellers to India, we wanted to see, experience and taste as much as is possible within three weeks… and Enchanting more than delivered. 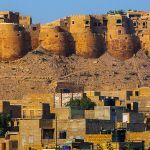 From the fantastic itinerary tailored to our interests to the wonderful guides, drivers and on-ground support through-out our trip, Enchanting ensured we had a beautiful, culturally rich and seamless holiday.